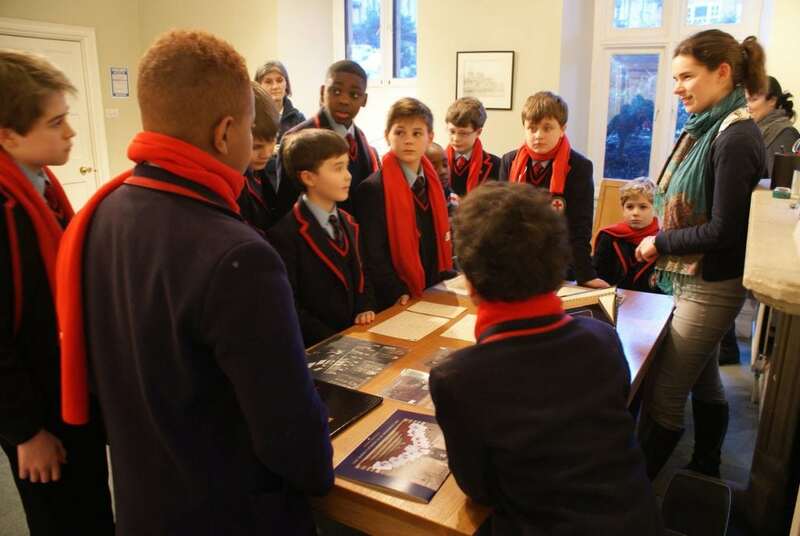 In the dark cold of January the Choristers made their way to the Chapel’s archives. Assistant Archivist Kate McQuillian and Archives Trainee Anastasia Porteus showed them a range of Chorister related books, documents and photographs. The items included a music manuscript from 1640, Dean Wellesley’s punishment policy for Choristers dated 1870, a letter from a former St George’s School pupil wounded in the First World War, plans of Marbeck where the Song School is housed and costs of the daily beer ration issued to Choristers in 1885. In March several Lord Lieutenants stayed at St George’s House for a three day consultation. Her Majesty’s Lord Lieutenants are the representatives of the Crown for each county in the United Kingdom. Amongst them was Brigadier Robert Aitken, Lord Lieutenant of Gwent, who was a Chorister at St George’s in the 1960s. 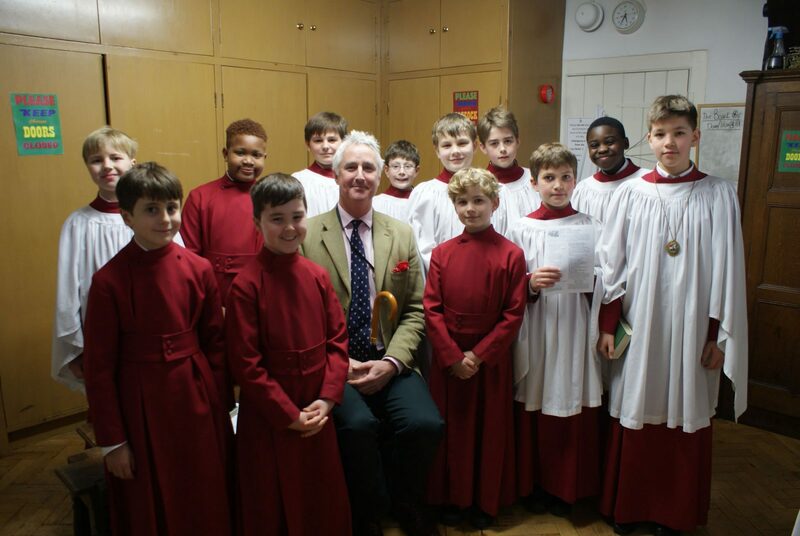 He met some of the current Choristers in their vestry after a service in the Chapel. 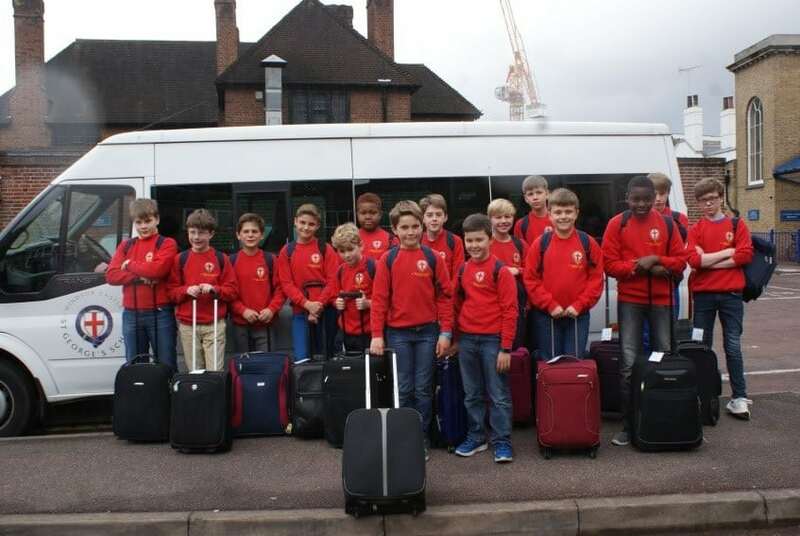 Two months later the choir travelled to The Netherlands. 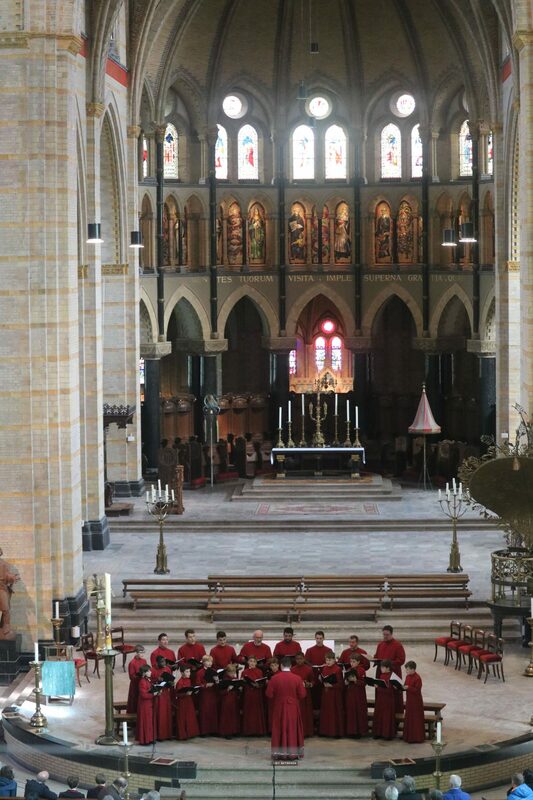 Singing at St Bavo’s Cathedral in Haarlem, the choir gave a concert of English music to an attentive audience, receiving a well-deserved standing ovation. On Sunday the choir participated in Mass, which included singing some parts of the service in Dutch. The choir was treated to a visit up the Dome and bell-tower. During their free time, the Choristers made use of a few spare hours to absorb the culture and history of Haarlem. As well as a visit to a local cheese shop, and leaving a very happy cheese-shop owner after making several purchases, the Choristers visited the Corrie Ten Boom House. The building had been the home of a Christian family who helped take in and organise lodging for German refugee children during WW1 and helped to hide many Jewish families during the Nazi occupation of Holland during WW2. Grateful thanks to the Dean of St Bavo’s and his staff for the warmth of their welcome and the generosity of their hospitality during the choir’s visit. 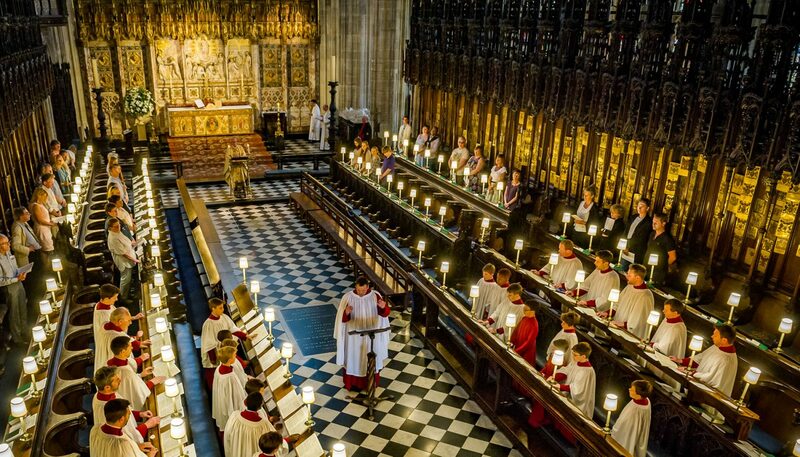 Just days later, Evensong in St George’s Chapel was sung by the joint choirs of St George’s Chapel and Eton College. 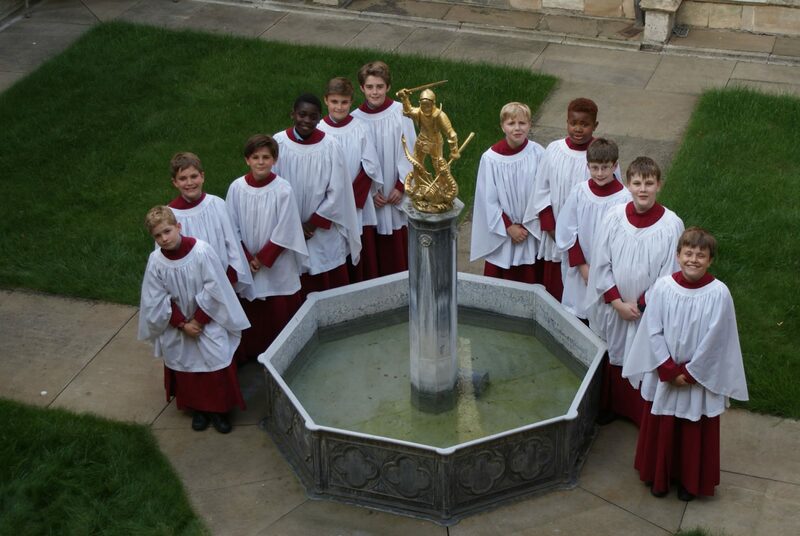 As the academic year drew to a close a Gala Concert was held in St George’s Chapel involving over 150 children from St George’s School. 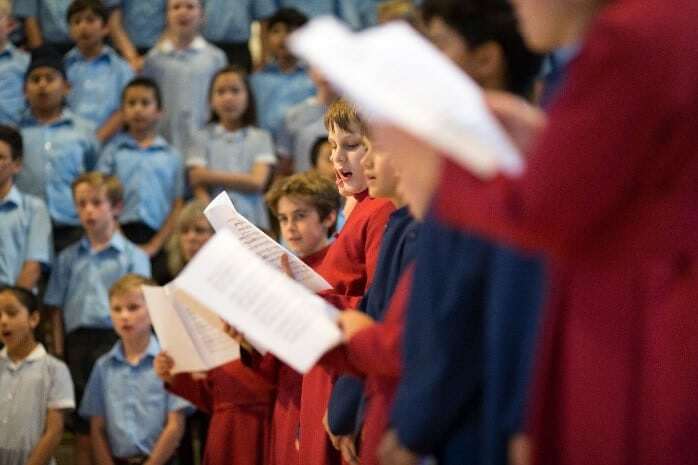 The Choristers played their part not only singing but playing a variety of instruments. 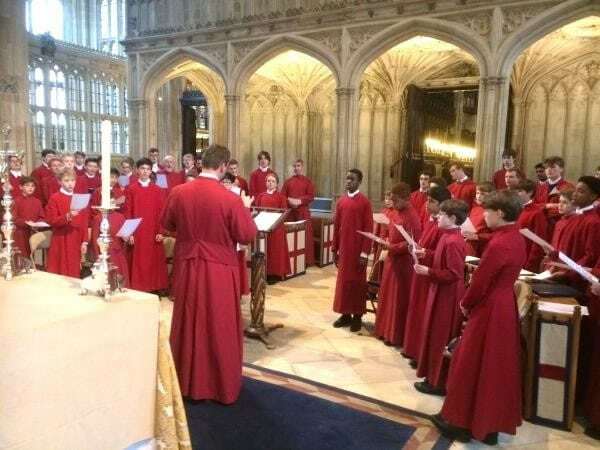 The daily round of rehearsals and singing at Chapel Services of course continued throughout the terms as did plenty of academic work and sport. 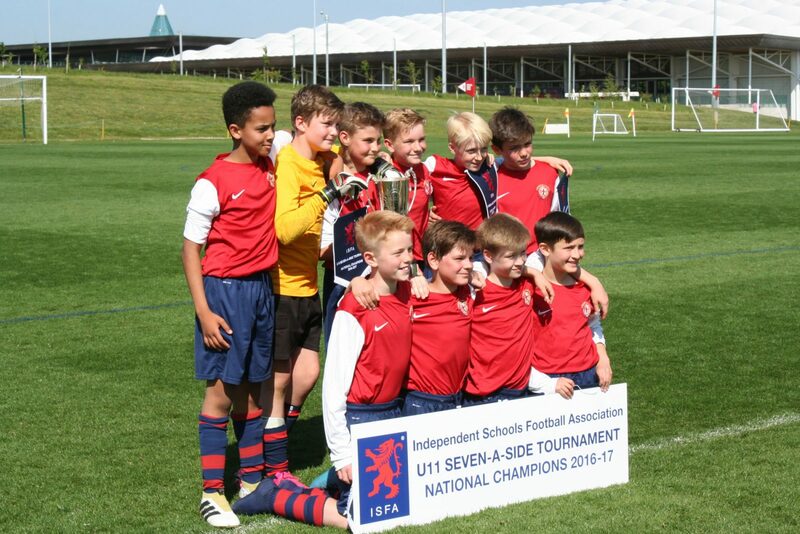 Two Choristers were in the St George’s School Under 11 football team which won the National Championship at the Independent Schools Football Tournament. 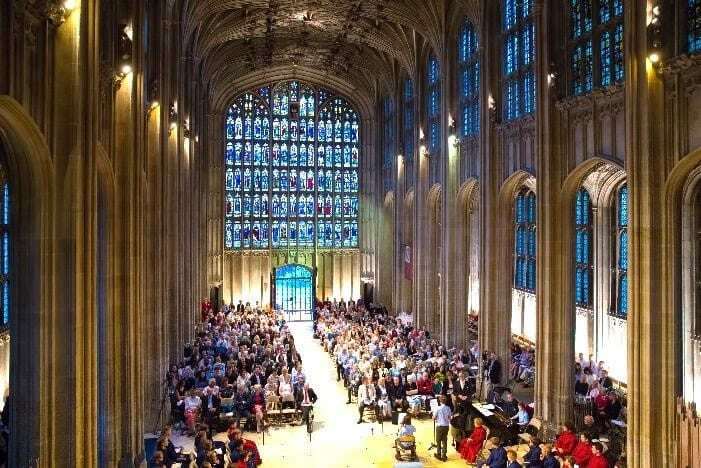 Visit The Queen’s Choral Foundation page.